Hudson continues to encourage walking through the Golden Sneaker Award Program. 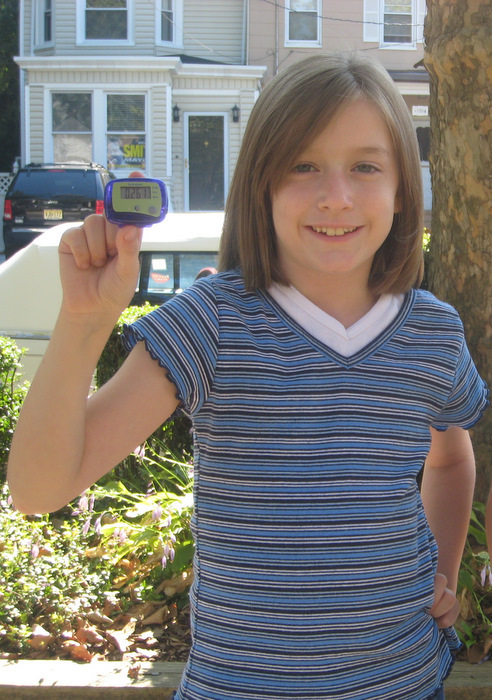 Students in grades 2 and 3 are given pedometers to see who can walk the most. The class with the highest number of steps is awarded the Golden Sneaker Trophy. Small and simple changes in our daily routine can save tons of carbon emissions from polluting the air we breathe. Walking to the store or school as well as just taking a short walk for pleasure benefits our health as well as our planet. 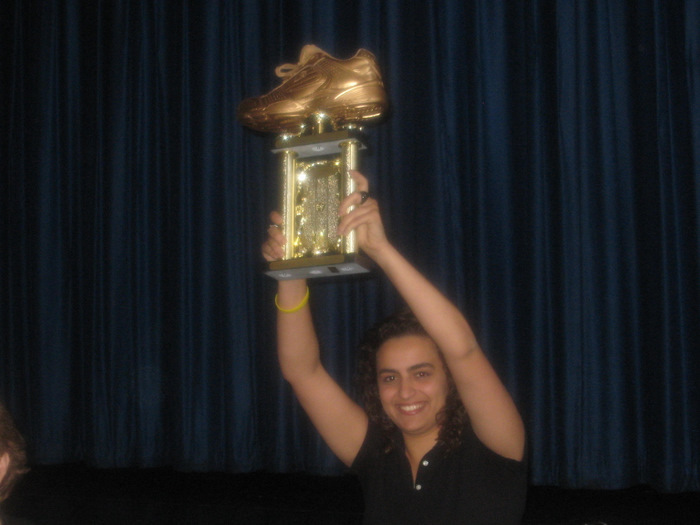 To bring the Golden Sneaker to your school call us at 201-324-6222 or e-mail at info@hudsontma.org. 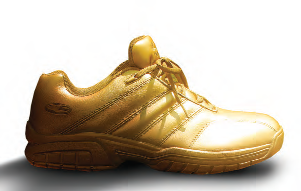 Download our Golden Sneaker Award brochure. Ms. Mulcahy and Ms. Valentin’s 2nd grade class of PS 16 Cornelia Bradford Elementary School in Jersey City won the Golden Sneaker Award. They had the highest number of steps recorded on their pedometers during their week of competition with other 2nd and 3rd graders from the same school.